Stuart had commissioned architect William Schickel to design the mansion he would never occupy. Schickel combined elements of the French Second Empire and Renaissance Revival styles to create a bulky confection of oriels, balconies, dormers and cast iron cresting. The widowed Mary McCrea Stuart had the mansion completed at a final cost of $640,000 not including the land. She moved into the new Fifth Avenue mansion, entertaining in the three large parlors, impressive dining room and ballroom. A special train was chartered to transport Mary Stuart home, “under the contract to make Jersey City within a day.” She 75-year old widow paid $1000 for the special train which traveled at the then-astounding average speed of 41 miles per hour. Within the contracted 24 hours she was back in her bed at No. 871 Fifth Avenue. She survived the pneumonia and the trip, but would die here at the age of 81 on December 30, 1891. Offers were made on the spacious mansion for over a year, none of which satisfied the executors of the estate. Finally on December 10, 1894 Amzi L. Barber of the Barber and Trinidad Asphalt Companies purchased it for $675,000. Barber had renovations done; and by 1895 he and his wife were entertaining in the updated mansion. Society pages reported on dinners and musicales, like the one for Mrs. Anna Randall Diehl in the residence that year. But Barber would be here for only about two years. The mansion became the home of Levi P. Morton, former Vice President of the United States under Benjamin Harrison, and Governor of New York. Morton’s governorship had ended in 1896 and he leased the house from its new owner, former Secretary of the Navy William C. Whitney. In the meantime Governor Morton made full use of the 68th Street mansion. On Christmas Eve 1896 he hosted a dinner in honor of the Governor-elect, Frank S. Black. 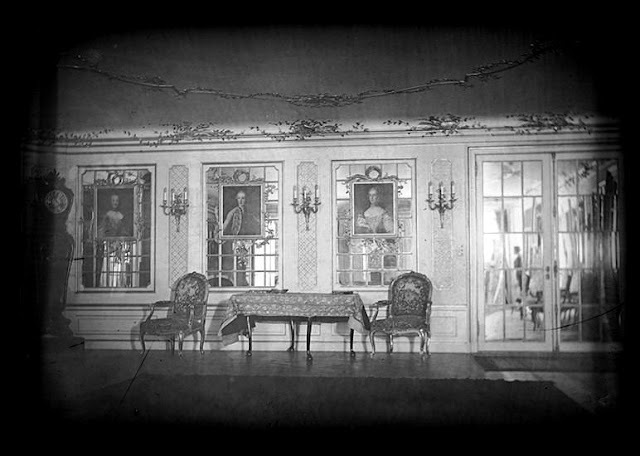 Around the dining room table that evening were Mayor Strong, Mayor Wurster of Brooklyn, Mayor Gleason of Long Island City, General Benjamin F. Tracy, former Mayor Thomas F. Gilrov, Seth Low, Justice John F. Dillon, General Stewart L. Woodford, Senator Clarence Lexow, Lieutenant Governor Thomothy L. Woodruff and a host of other political luminaries. William and Edith Whitney had been married in 1895, two years after William’s first wife Flora had died. They were pleased with the location of the former Stuart mansion, but not its style. The 14-year old house was already out of fashion and the couple commissioned Stanford White to remodel it into a modern showplace. The renovation would take six years and--just as Robert L. Stuart had not lived to see his completed mansion--Edith Sibyl Randolph Whitney died during construction. 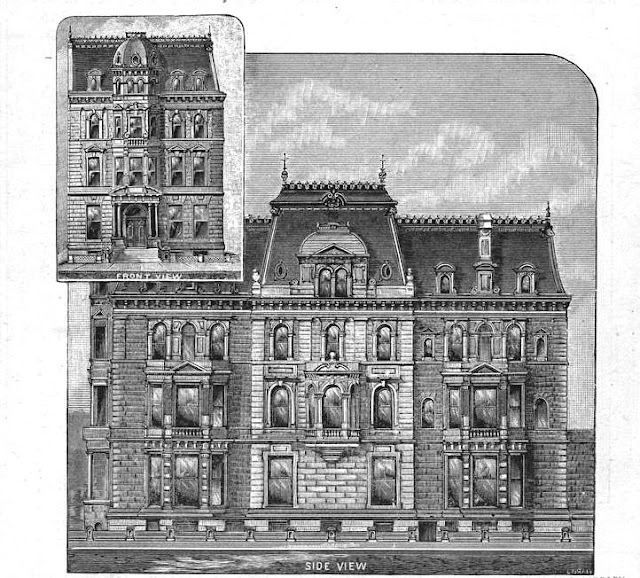 By March 1902 the mansion was nearing completion and a United States Circuit Court judge was required to make a decision regarding three ceilings. The ceilings were removed from the Barberini Palace in Florence and, according to The Sun on March 14, “are exquisitely painted in oils, on wood, and date back to the fourteenth century. The artists who painted them are unknown but the work is said to be worthy of the masters.” Although the Museum of Art of Berlin was eager to acquire one of the ceilings, “Mr. Whitney bought all three at a price that was higher than any museum could afford,” said The Sun. Now that they had arrived in New York, there was a question on how duty should be charged. “When the Board of Appraisers was called upon to assess the duties, the question arose: whether the ceilings should be classed as manufactures of wood or as paintings by foreign artists.” The Board classified them in the first, more expensive duty category, like Vienna chairs or umbrella handles. William Whitney filed a protest and won. “Judge Coxe, in his decision, points out that the value of the wood in the ceilings is infinitesimal, as compared with their value as paintings” reported the newspaper. 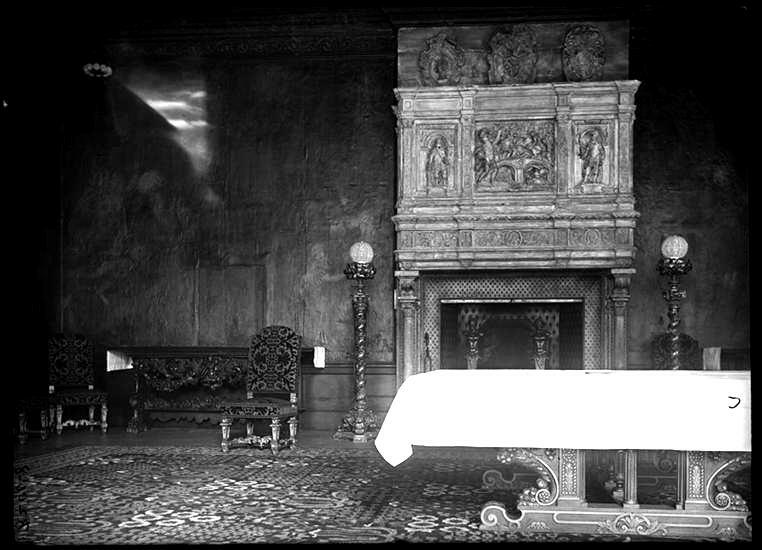 Among other imported architectural features was the music room, 60 feet long by 30 feet high, which was originally in the castle of Phoebus d’Albert, Baron of Tours during the time of Louis XIV. The room was moved to Paris in the reign of Louis Philippe, and then to New York by Whitney. The elaborately wrought iron and bronze entrance gates came from the Doria Palace in Italy. The main hall contained 16th century stained glass windows. Finally the house was completed and there was little trace of the Stuart mansion remaining. 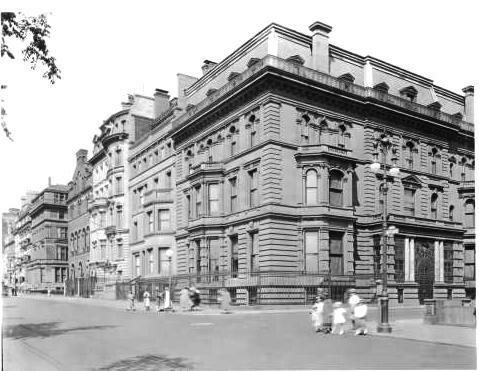 The entrance was now centered on 68th Street (although the more impressive Fifth Avenue address was retained). White retained some elements—the slightly projecting central section on 68th Street, the row of arched openings along the third floor, the cornice and remnants of the mansard roof—but transformed the bulk of the house into a stylish, modern residence. The following day, at 4:00 in the afternoon, Whitney died in the 68th Street house. He left an estate valued at over $21 million including the mansion which was assessed at $1.4 million in which he had lived only two years. A little-known, bachelor stockbroker purchased the mansion, its furnishings and artwork as a package. James Henry “Silent” Smith not only had his own fortune, but had inherited several million dollars from his uncle, George Smith. Like its previous owners, Smith would not live long in the mansion at No. 871 Fifth Avenue. Although the broker had been termed “mousy” prior to moving in to the house, he now hobnobbed with the upper echelon of society, including Mamie Fish. He became fast friends with Annie and William Rhinelander Stewart, sharing his opera box with them and going on extended yacht trips. Annie Stewart and James Smith became such good friends, in fact, that in August 1906 she divorced William and a month later married Smith. The couple boarded a steamer for Japan for their honeymoon. Smith would not return to New York alive. He arrived in Kyoto seriously ill and died there in March 1907. Smith’s body was sent home in a coffin that weighed a ton and took eight men to carry. The new Mrs. Smith, her sister the Duchess of Manchester, and her daughter, Anita Stewart “were all in deep mourning” when the coffin arrived at Grand Central Depot on May 5, 1907, according to The Sun. 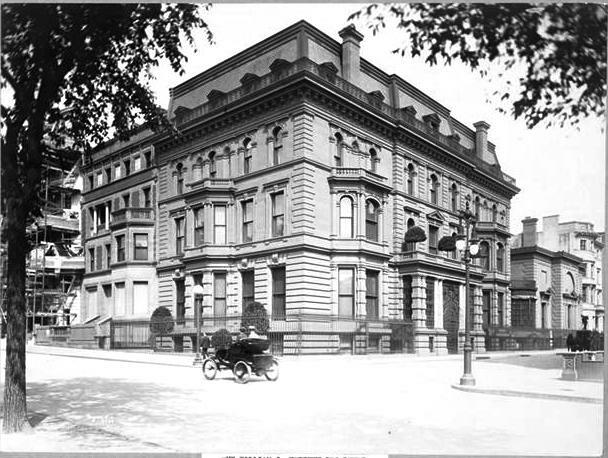 “They went to the Smith home at 871 Fifth Avenue.” It was the first time that Annie Stewart Smith had entered the house as an occupant. Instead, Annie lived here for a few years, before putting the house on the market for $2.5 million in 1908. On January 3, 1909 the New-York Tribune reported that a buyer had been found. That buyer was Harry Payne Whitney who purchased the house complete with his father’s furniture, artwork and antiques, just as Smith had done. “Included in the list of paintings are works by Van Dyck, Costa, Cranach, Murillo, Gainsborough, Diaz, and John La Farge,” said The Times. On February 7, 1910 Mrs. Whitney gave a reception for about 200 guests. Nahan Franko’s orchestra played and Anna Pavlowa and Michael Mordkine of the Imperial Opera House of St. Petersburg and Moscow made their American debut. 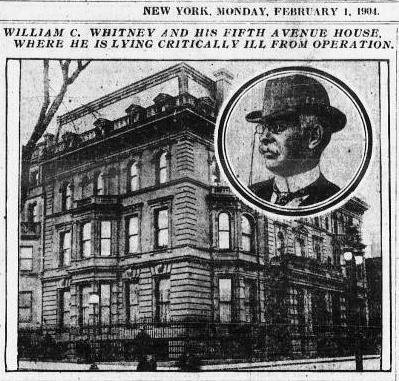 “Last night’s was the first large entertainment given by Mrs. Whitney since the former home of William C. Whitney was bought by Mr. Whitney from the estate of the late J. Henry Smith,” noted The Times. The auction raised approximately $10,475 for the cause. Flora and Barbara Whitney would prove to be models of social decorum--unlike their brother. On April 19, 1920 Flora was married to Roderick Tower in St. Bartholomew’s Church. “Not only was New York’s ‘Four Hundred’ represented, but Philadelphia’s as well,” reported the New-York Tribune. The church was decorated with 15,000 lilies. The following year was Barbara’s coming out and the ballroom was the scene of a grand ball on January 5, 1921. Cornelius Whitney vehemently denied the allegations and eventually succeeding in having the case dismissed. In 1923 he married the debutante Marie Norton; who later filed for divorce in July 1929. In October 1930 Harry Payne Whitney contracted a slight cold, but went about his business as usual. When the malady worsened, Dr. John A. Hartwell and several other physicians were called in and although pneumonia had developed, it was not believed to be severe. Within a few days Whitney died in his bed at No. 871 Fifth Avenue. He left an estate of over $61 million. Two years later the house would be in the headlines as a bitter custody battle ensued over little Gloria Morgan Vanderbilt. Gloria’s mother, Gloria Morgan, was the sister-in-law of Gertrude Vanderbilt Whitney. On a Friday afternoon Gloria allowed little Gloria to be taken to “feed the pigeons in Central Park.” Instead she was whisked off to No. 871 Fifth Avenue. The article described some of the rare interiors. “The main hall is of imposing size, with a floor of marbles inlaid with 10,000 pieces of brass. The Renaissance ceiling formerly was in the Bardini collection in Florence. The fireplace, of carved white stone in the style of Henri II, formerly in the chateau of the Sieur Franc de Conseil at Aigues-Mortes, France, has a depth of five feet. The walls and the stairway, with its elaborately carved balustrade, are of Istrian marble. French seventeenth-century stained glass, rare old hangings and paintings complete the decoration of the hall. A massive mid-century apartment house of stone and brick stands on the site of the Whitney mansion. It was sometimes called the most palatial house in New York; but then others claimed that title as well. It was nevertheless a remarkable and irreplaceable example of architecture and art. Any info where some of the rare arhitectural fixtures ended up. presumably they were salvaged after an auction? Exactly what I was wondering as well. I am in possession of the paneling of the Ballroom. Looking for a new home! Contact me at robertleadbeaterpainting@yahoo.com 4000 sf. will consider an offer. Selling pieces that are not from the ballroom at $80 psf. One small correction. 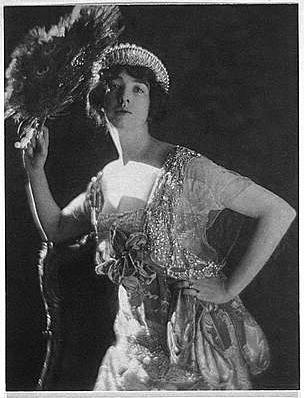 Gloria Morgan Vanderbilt was a sister-in-law, not a sister, to Gertrude Vanderbilt Whitney. She was the maternal grandmother to CNN news anchor Anderson Cooper. I realy love this site. One of my regular early morning reads. Mary McCrea was sister of Margaret McCrea, wife of Christopher Rhinelander Robert II who built La Rochelle at 75th Street and Columbus Avenue. He shot himself in there 1898 - or was it murder? Margaret had died in 1863 and Robert remarried to Julia Remington Morgan in 1879.